Post #2 from Mt Cordeaux – While sitting waiting for the Satin Bowerbird (see previous post) I heard a bird landing just behind me and turn to see this gorgeous fella. 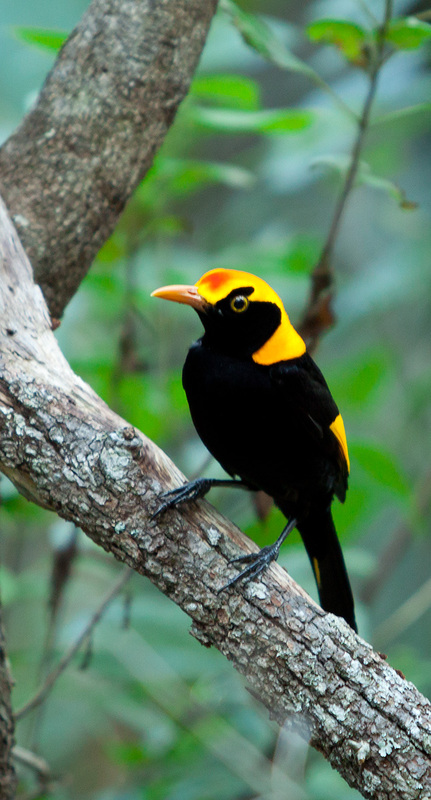 I have never seen a Regent Bowerbird in the wild before so I was understandably very excited. He was only there for about 20 seconds for he flew off so I was lucky to fire off a few shots of him – this is my favourite. What a stunning bird – how lucky we're you to see it ?